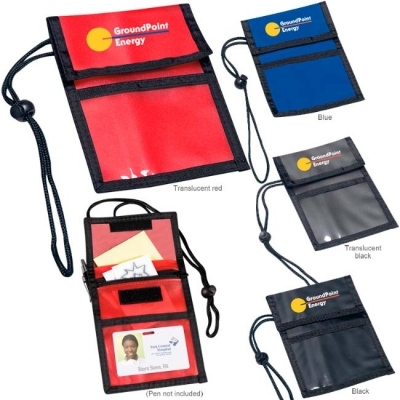 Badge or Photo Card Holder for meetings or trade shows or events. Planning a trade show, meeting or convention? You need this badge holder for the convenience of your clients. A useful alternative to a simple lanyard. Product Colors: Black, Blue, Translucent Black, Translucent Red. Heat Transfer: Front, 3-1/4"w x 1-1/4"h, 3 color(s) max. Additional Imprint Color: $0.35 per color, per piece.